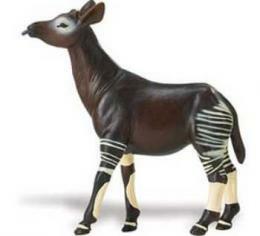 Okapi Toy Plastic Miniature Large is imaginative, educational safe, play fun at Anwo.com Animal World. 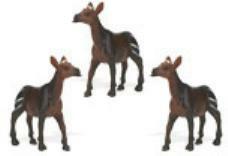 Made of durable, safe, plastic this Okapi Toy Plastic Miniature features intricate detail is perfect for play fun, educational purposes, school projects and measures 5.5"H x 7"L x 3"W. Shop our Animal Toy Miniature Wildlife Replicas at Anwo.com Animal World. page for all our plastic toy animals.